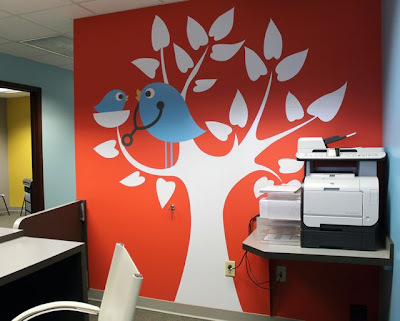 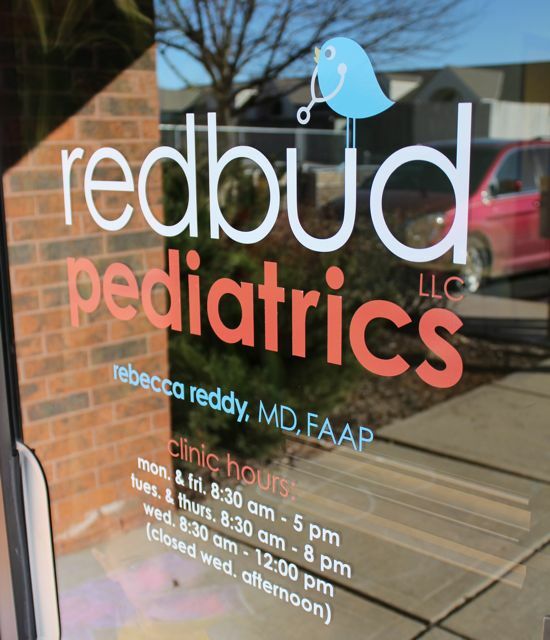 Project Denneler: Redbud Pediatrics, now open! 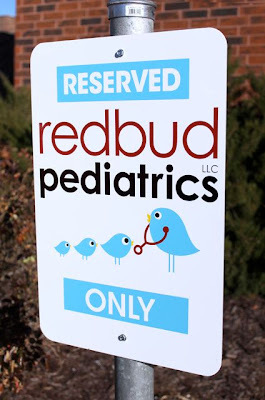 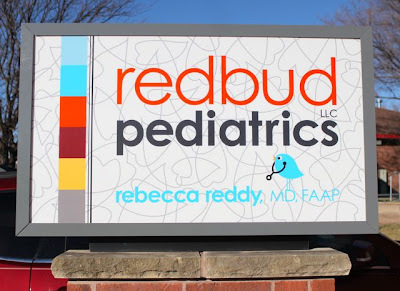 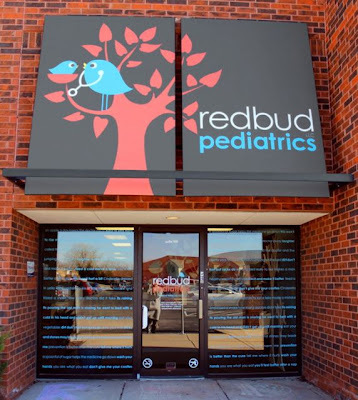 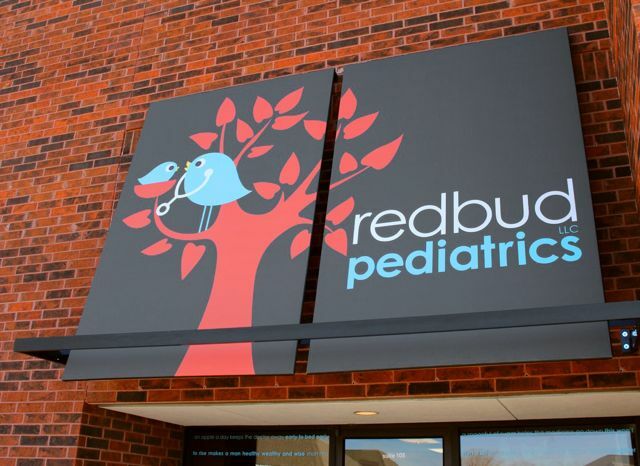 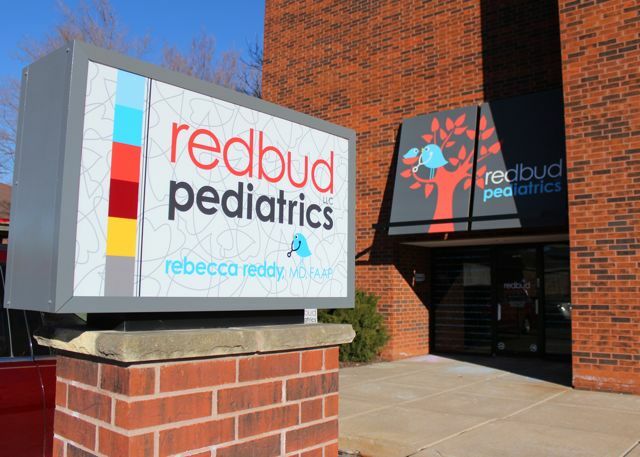 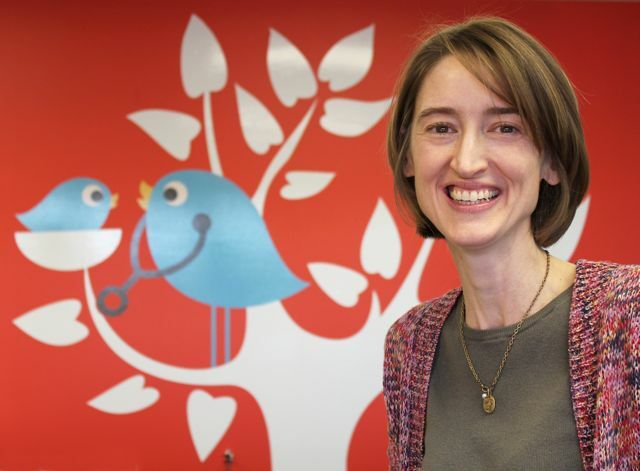 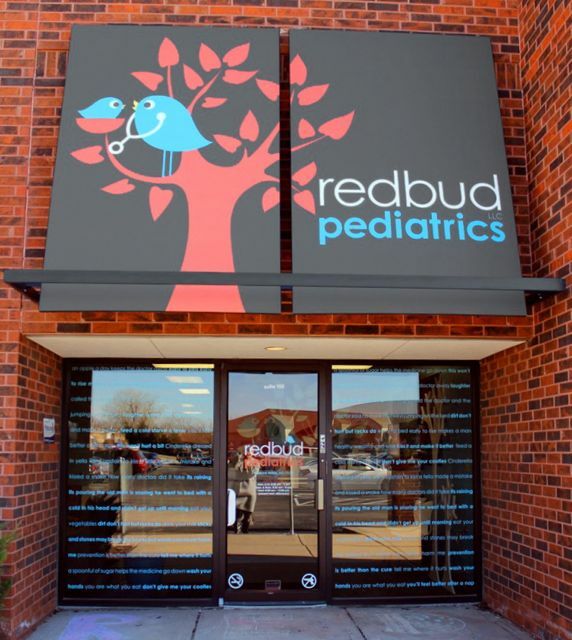 Today was the first, official day for Redbud Pediatrics. We worked with Trimark Signworks to produce the outdoor signs & awning. Signs Now produced the vinyl graphics for all of the windows. 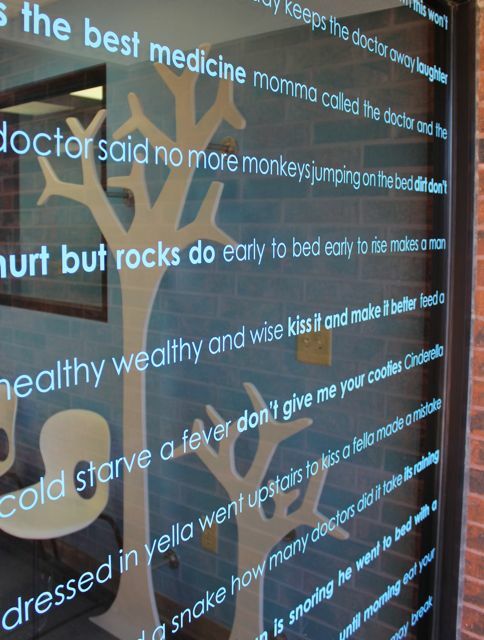 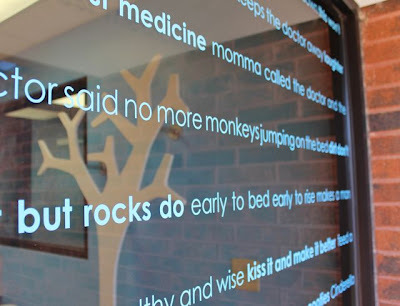 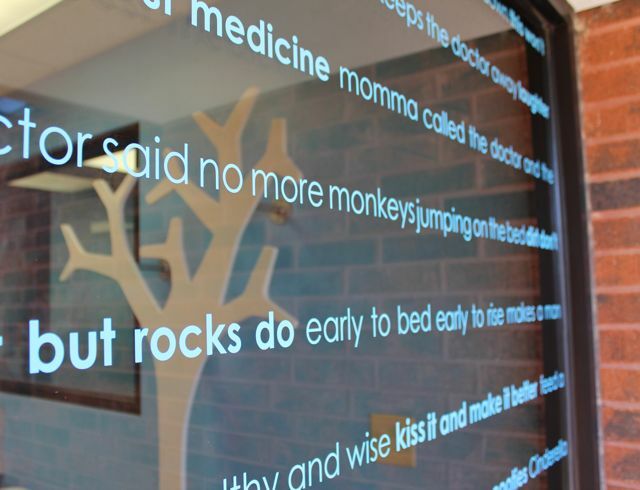 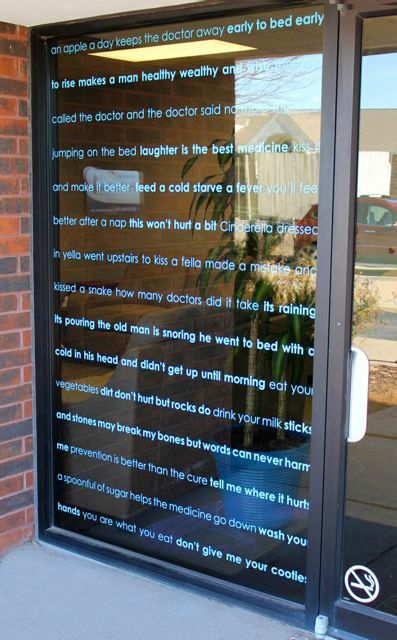 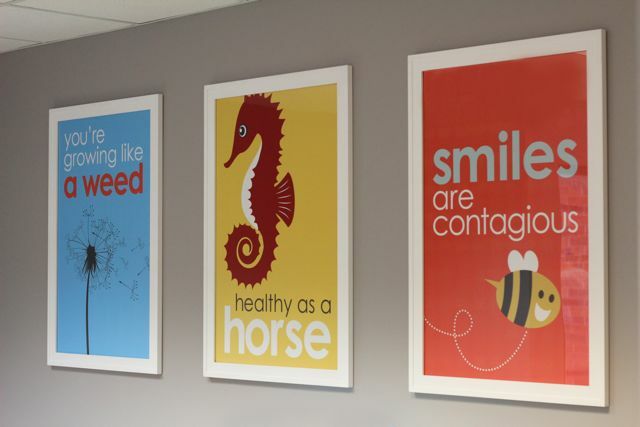 We used silly childhood phrases about health & medicine on the front windows. 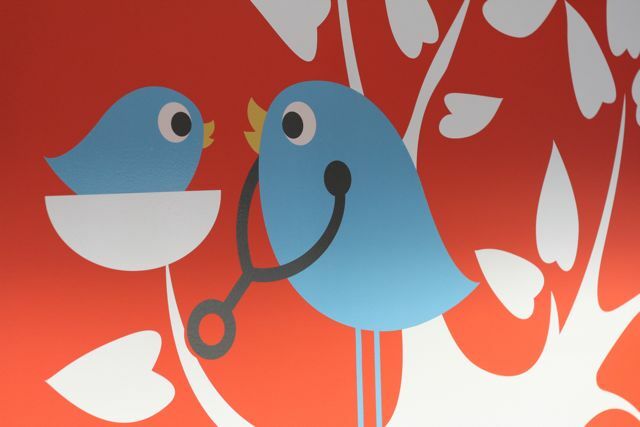 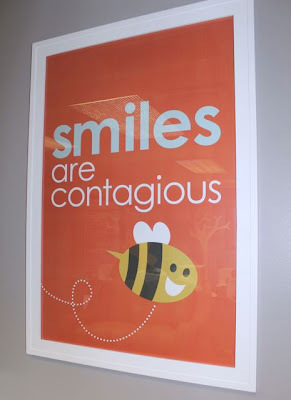 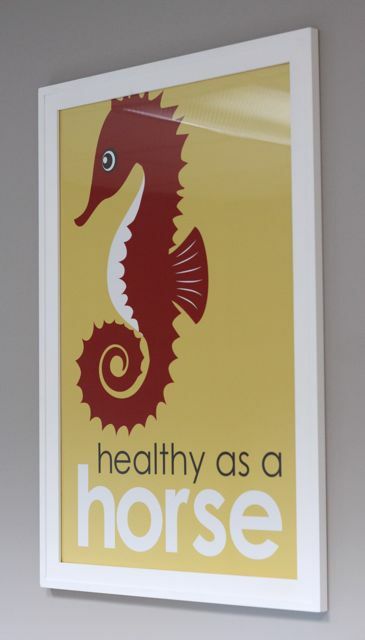 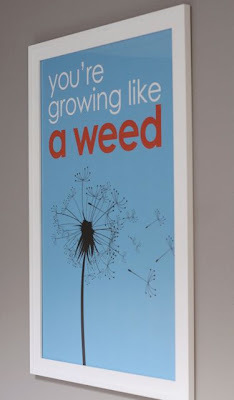 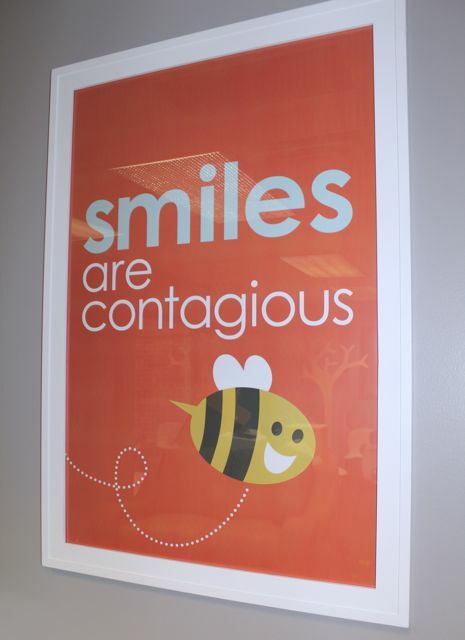 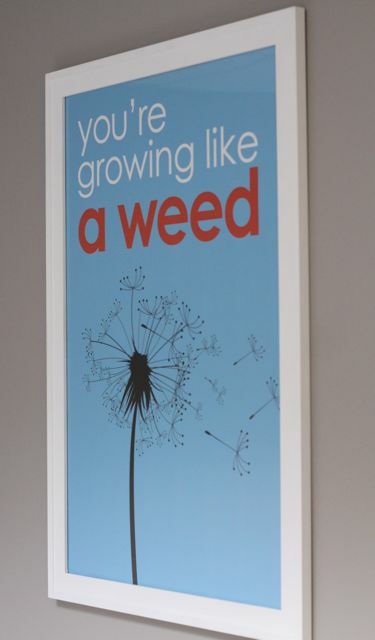 Signs Now also produced this awesome vinyl graphic for the reception wall. Love these sweet little birdies. 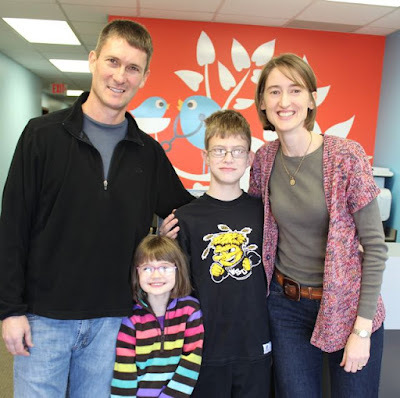 Eric, Bea, Gus and Dr. Rebecca Reddy before the big opening. 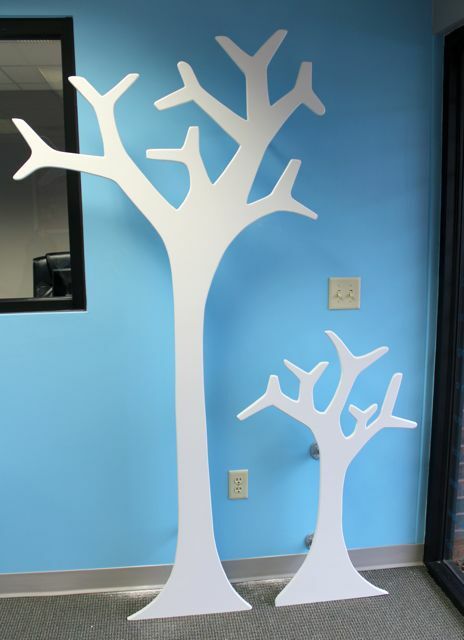 Eric made these decorative trees in the front entry that double as coat racks. 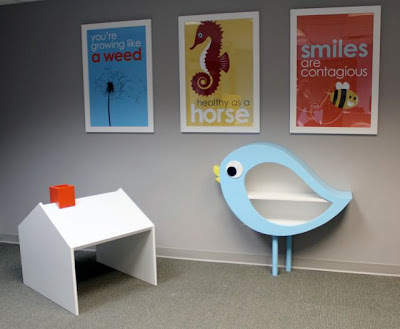 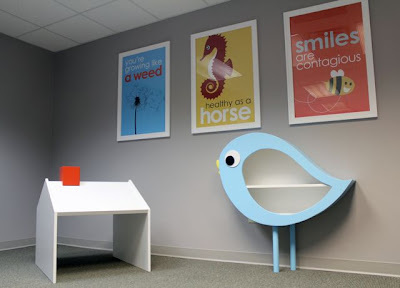 For the waiting room: a playhouse/drawing table, a bird bookcase & artwork. 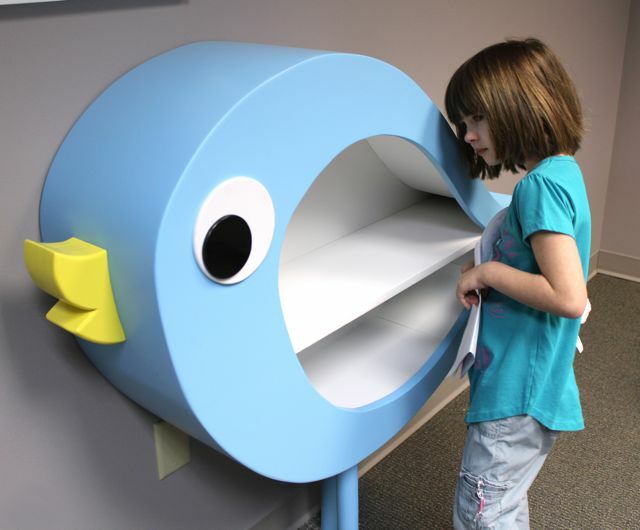 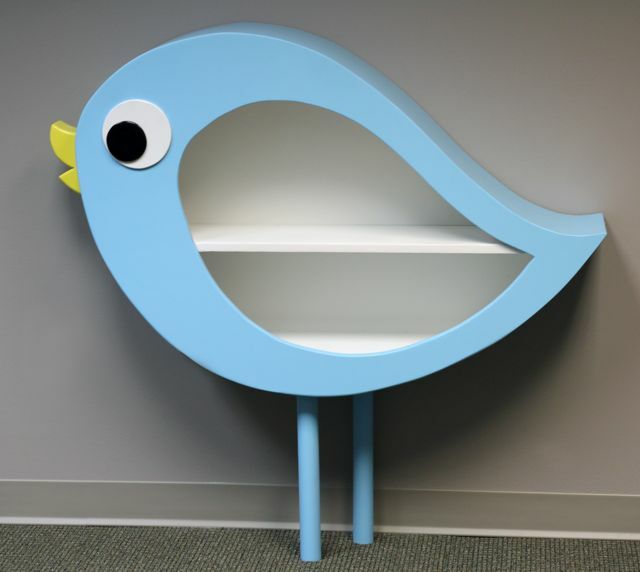 An adorable, blue, birdie bookcase that Eric built. 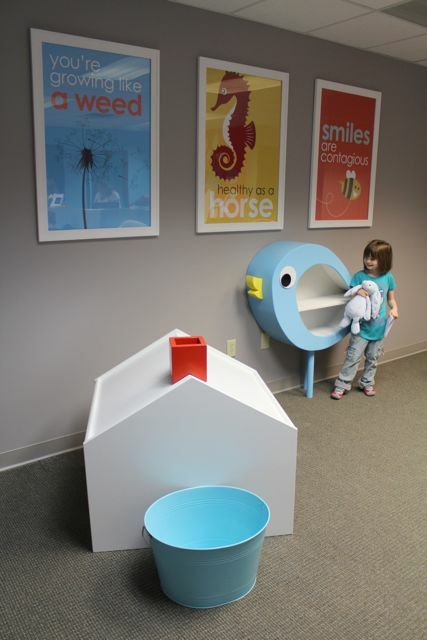 Bea checking out her dad's craftsmanship. 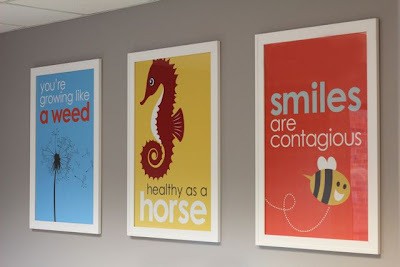 So cute... 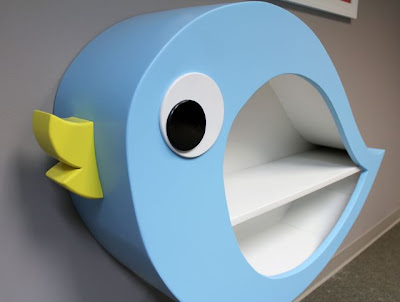 I could just kiss that beak! 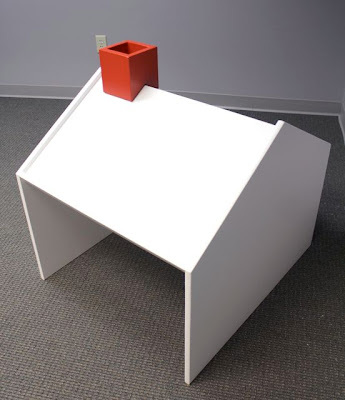 A kid-sized playhouse that can also be a drawing table. 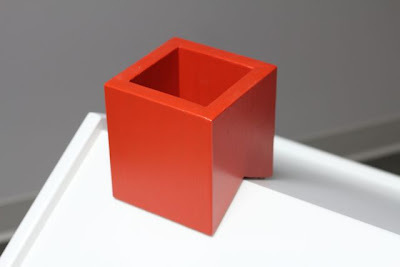 And a little orange chimney to hold crayons or markers. Sweet!